Home Should You Own or Rent Heavy Equipment? Buy or rent? That is the million dollar question facing contractors and construction experts today as asset financing becomes more readily accessible. With an increase in human population, pressure is piled on social amenities such as roads, hospitals, housing facilities and schools. There is the obvious need to develop additional infrastructure to cater for the needs of an ever growing population. The construction industry comprises three key component areas namely, the urban construction sector, the rural construction sector and the transportation sector. 21st century advances in technology and engineering have seen the dawn of a new age of machines, not the fictional “take over the world” rather equipment used in construction and affiliated fields. Normally, equipment purchasing is a pretty straightforward deal. Money in exchange for a piece of equipment. Renting, on the other hand, may involve the formulation of an agreement entailing set terms and conditions. A specified fee is agreed upon and paid at regular intervals. Once heavy equipment has been purchased, total and complete control are in the owner’s hands. No operation agreements are necessary. The owner may use the equipment in the manner and purpose he/she deems fit. The availability of financing options offered by financial institutions means that heavy equipment is a whole lot easier to acquire. The idea with buying is going for a particular brand and specific features. The buyer gets the exact piece of equipment desired. Once acquisition is complete, the heavy machine owner may go ahead and offer rental or leasing options to interested parties. This creates a steady stream of income for the equipment’s owner. The heavy equipment’s new owner may venture into the line of business the equipment is designed for. With machinery costs out of the way extra funds may be pumped into other operational areas such as staffing. THE CONS OF BUYING YOUR OWN HEAVY EQUIPMENT. Purchasing one’s own heavy equipment has its own allure and flare to it. However, there are some concerns. Heavy equipment is among products with generally the highest taxes. This means that the price of acquiring such equipment is at time through the roof. Hefty down payments and accompanying routine payments total to amounts higher than those expended via renting or leasing. Maintenance costs and associated expenses befall the heavy equipment’s owner. Other costs such as staffing also come into play. 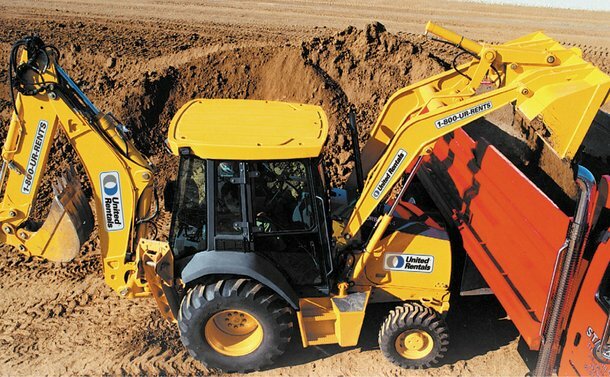 Renting allows one to get the absolute best in quality and sophistication of the heavy equipment. Newer machines are produced as technology continues to advance and renting sees to it that the contractor or individual benefits from. Costs associated with purchasing of equipment including taxes levied are avoided while renting. Costs incurred are the renting fees or otherwise dictated by the terms of the agreement. With time, the value of equations eventually falls. Rental agreements may require the payment of the dropped value in monetary terms. Accumulated payments may total a value higher than or equal to the heavy equipment purchase price. Depending on the terms, one may embark on a project that lasts longer than the agreed rental period. Renewing the agreement entails the expenditure of additional funds. On the same, a project may get completed before the exhaustion of the agreed rental time. This will require the renting party to continue paying the predetermined renting fees until the period expires. The equipment DOES NOT belong to the renting party, any decisions regarding ownership transfer or renting are therefore solely dependent on the equipment’s owner. In conclusion, there are both merits and demerits associated with either buying or renting heavy equipment. The final word therefore depends on the individuals or contractor’s financial ability and budget. Financial institutions may offer a better insight into whether or not to buy or rent heavy equipment. In-depth consultations are highly recommended in making these types of decisions.